We wish to express our appreciation to the following organizations for their generous contributions. These gifts allow Mourning Hope to continue providing grief support services to children, teens, young adults and their caregivers throughout southeast Nebraska. 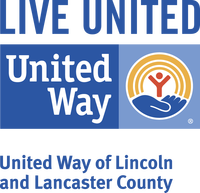 Mourning Hope is proud to be a United Way of Lincoln and Lancaster County partner agency.